This military carry bag is terrific for storing your military bulletproof vest. Whether you are heading home from deployment or traveling this military carry bag is great. It will keep your bulletproof vest safe and secure between uses. The military carry bag is made from quality materials and dependable and ready to go when you are. This carry bag for bulletproof vest measures 50 cm width x 55 cm height. It is great for storing vests of all types including: bullet proof vest, assault vest, combat vest and tactical vest. This carry bag has two-way zippers that run half way along the length of the bag. This double zipper makes it easier for you to store your bulletproof vest or remove the vest if it is needed in a hurry. The carry handles for the military carry bag have a comfortable grip to make carrying easy and convenient. For extra security measures the military carry bag for your bulletproof vest comes with an ID or name tag pouch. Use the pouch to store your information or ID or other information you want everyone to see. No matter what your reason for using a bulletproof vest, you can keep the vest safe and sound using this military carry bag. 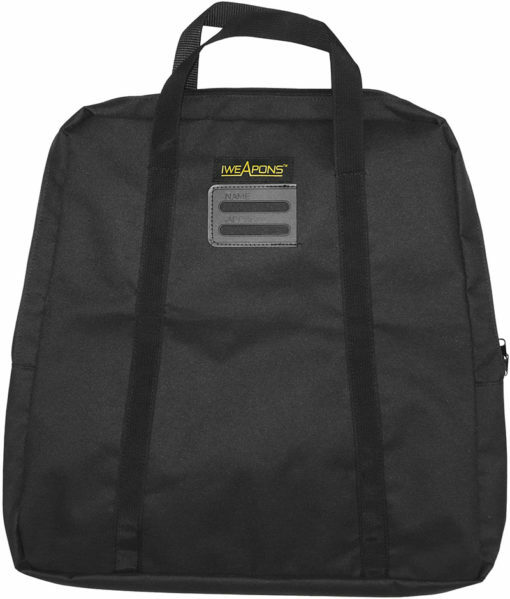 This carry bag is great for usage on the go or for storage around the house in between uses. This military carry bag is easy to use, has two-way zippers, has comfortable handles, is dependable and made from sturdy materials. This is a terrific item for all your bulletproof vest storage needs.